There are millions of health supplements available for pets. In fact, supplements are a $600 million industry right now and shows no sign of slowing down. This availability is both good and bad. It’s good because we have lots of supplement options; but bad because almost none of them are regulated. Only a handful of manufacturers spend the time required educating the customer on how to use them for pets. Before you move forward with giving prebiotics or probiotics (or any natural remedy) to your pets, you should consult your veterinarian. Why is this important? Because some things, like Prebiotics, can worsen an existing GI condition. Before we get into probiotics and prebiotics for dogs and cats, let’s define a few key terms. Probiotics are “good” bacteria that work with your pet’s digestive enzymes (microflora) that help regulate your pet’s gut health. Prebiotics are the foods that probiotics feed on. Microflora are microscopic algae, fungi and bacteria that live together in a “colony” in your pet’s gut. This community is so complex and important that some scientists liken it to a “metabolically vital organ” (Whelan, 2010). Probiotics are live microorganisms that increase microflora to improve overall health. Prebiotics are types of dietary fiber that feed the microflora in the stomach. At their most basic function, probiotics help support a healthy digestive function. Probiotics do it by increasing the healthy microflora; prebiotics by feeding the microflora. This helps make the digestive system function more smoothly, which may help improve immunity, decrease inflammation, improve digestive function and much more. -otic which indicates a “relationship to an action, process, state, or condition”. Literally translated, probiotics means a condition in favor of life. Probiotics are live enzymes, yeasts, and microorganisms that help us stay healthy, but more than that, they are the things our bodies need to function optimally and sustain life. Some believe that over 70% of our (and our pets) immune function is in our gut. Now, we can improve the ability of these microorganisms by eating a healthy, well-balanced meal that include foods that naturally contain high levels of these organisms (fermented foods like sauerkraut, kimchi, yogurt, apple cider vinegar, miso, and more). But it would take a LOT of yogurt and kimchi to obtain the same benefits you see from probiotics. Just like us, pets have to maintain a certain level of healthy bacteria to properly digest food. When their microflora is out of balance, they begin to have health problems. Prebiotic fiber is the non-digestible parts of foods (like banana skin, onion peels, beans, chicory root, and many more). This beneficial dietary fiber actually helps feed the “good microflora” in your pets digestive system. Be sure to discuss the advantages/disadvantages of prebiotics with your veterinarian. Some animals, particularly those who have ongoing gastrointestinal difficulties, will not benefit from prebiotics. It’s important to let your veterinarian know if you are planning to (or currently do) give prebiotics to your pets. When selecting a probiotic or prebiotic, it’s important choose a species-appropriate product. For example, giving your cat a prebiotic designed for dogs will not do a lot to support healthy digestion. Cats are very different than dogs (and we are different from dogs). Choose one designed specifically for each species. They probably won’t hurt your pet (or yourself) if you take probiotics designed for another species, but it’s not going to be very helpful either. Every animal with a digestive system can benefit from probiotics, including dogs, cats, horses, even birds. A healthy gut may help improve digestion, improve nutrient absorption, prevent disease, and even boost your pet’s immune system and help keep animals more calm. Skin and Coat conditions: including fur loss, skin and coat problems, dermatitis, Black Skin Disease, yeast overgrowth, alopecia X, allergies, and more. Inflammatory conditions: arthritis, dental disease, joint pain, etc. Different animals benefit from specific supplements. In horses, you may find that the issues of colic decrease. In dogs, you may see performance improvements, improvement in skin conditions, and even a reduction in joint pain and/or an increase in neurological function. In nearly all animals, including humans, you’ll see a stronger immune system, reduced flatulence, improved skin and coat, improved gastrointestinal processes, and as you continue to improve, you’ll find that their (and your own) sense of well-being has improved. But all of these results depend on finding the delicate balance of gut microflora, and every animal is different. Which Species Can Take Probiotics? 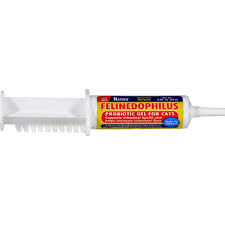 Probiotics are specially formulated to support the digestive health of cats, dogs, horses, birds, and farm animals. Since all animals are different, they obviously have individual needs with different recommendations for each species and even each individual. You’ll want to select the proper probiotic by species in order to receive the best results. These are a few probiotics that we’ve found to be beneficial to pets. The Honest Kitchen’s special probiotic blend saved my dog’s lives when they were puppies. We learned that all three of our foster dogs were allergic to the regular puppy milk replacement formula we were giving them was causing the same symptoms as parvovirus. We switched over to Pro Bloom, and the symptoms immediately stopped. This all-natural goat’s milk probiotic formula is great for both dogs and cats. With over 5 billion active probiotics and digestive enzymes, it can be mixed with The Honest Kitchen’s dehydrated food or served alone as a nutritious liquid snack. 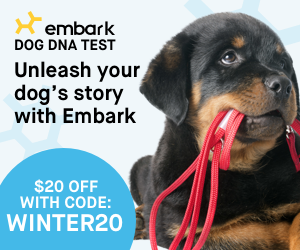 It’s ideal for dogs who have sensitive stomachs. ForiFlora (available for dogs and cats) is a probiotic supplement for the dietary management of dogs and cats with diarrhea. This formula contains a probiotic proven to promote normal intestinal microflora. The Nzymes® SUPER-FOOD supplements, like the Nzymes® Antioxidant Treats or Nzymes® Sprouted Granules, include antioxidant vitamins and enzyme-rich nutrients along with the ‘live food enzymes’ that tell the body how to utilize this special nutrition. Nzymes® offers an unconditional 120-Day Money Back Guarantee on their products. This probiotic contains active Lactobacillus acidophilus, NAS super strain, Enterococcus faecium, and NCIMB 10415 super strain at a total 6 billion cfu per 2 grams. Remember that Natren Caninedophilus is cold-shipped and requires refrigeration immediately in order to keep the strains intact. Probonix is an organic, non-GMO, and all-natural supplement for dogs, cats and humans. Their formulas are free from gluten, dairy, sugar, soy, eggs, fish/shellfish, and peanuts or any tree nuts. 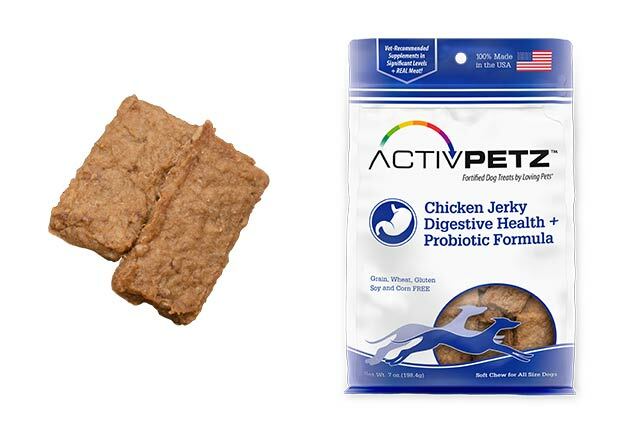 ActivPetz™ Treats from Loving Pets are delicious, affordable treats with therapeutic supplement levels of important supplements. There are several versions of these fortified, low-calorie treats and each provides a different benefit to your dog. We are really liking the digestive health and probiotic formulas! Best of all, each treat is made of real meat and fish that are free from grain, wheat, gluten, soy and corn.